Bzzzzz Bzzzz. This is the script of a theater play, inspired by Avital Ronell's seminal The Telephone Book (1989). 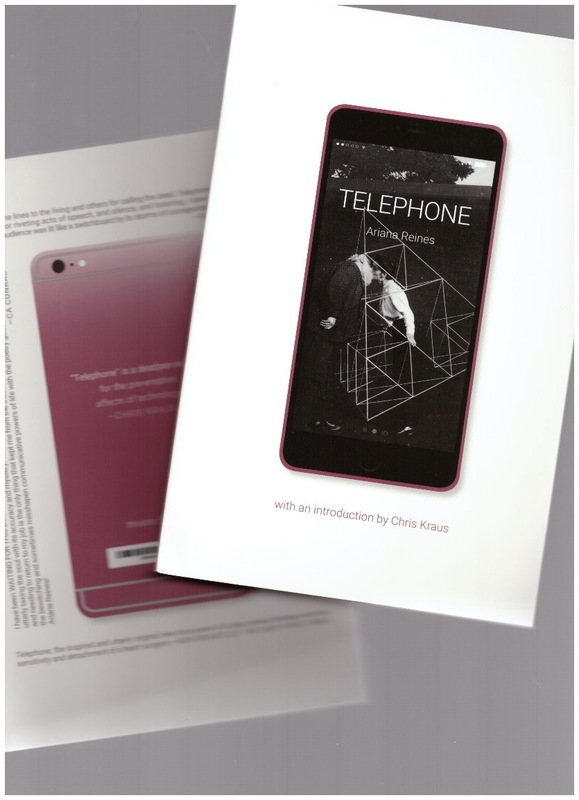 Reines condenses and texts back into life telephone's inventors Bell and Watson, as well as Miss St., a patient of Jung, hearing voices through phantom phones, and then her own mis-communications, and .. bip bip: "I don't want to explain myself / ok. / I just.. I just want to talk to somebody who already understands me."